Attack 1 : Baby Bros. 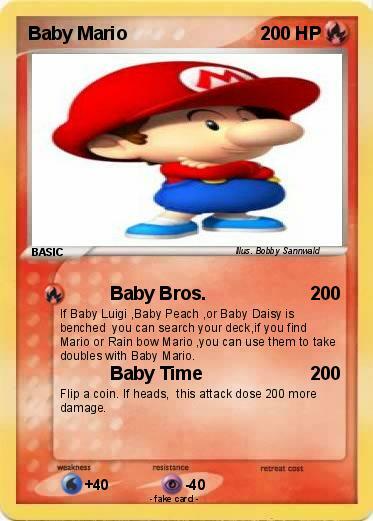 If Baby Luigi ,Baby Peach ,or Baby Daisy is benched you can search your deck,if you find Mario or Rain bow Mario ,you can use them to take doubles with Baby Mario. Flip a coin. If heads, this attack dose 200 more damage.